When the black horse called Famine charges in, how much would you be willing to give up for a plate of food—nights at the movies, dining out, shopping trips, or gym membership, maybe even an upcoming cruise? When that happens, you can forget about your savings, the stocks and bonds, dollars and 'bitcoin'--go ahead, throw them in the streets! In the days when Famine rides the land, food will be the new gold. Could this ever happen in a nation like America, the “Supersize it” capital of the world? Americans prize their eats so much that most of our leisure time, relationships, and family gatherings are built around food-sharing. In fact, fast food restaurants and quick-stop eateries are running out of adjectives for their biggest quaffs, going beyond Supersize to King size, Great Biggie, Mega Jug, and Humungous, all the way to 7-11’s Team Size Gulp. 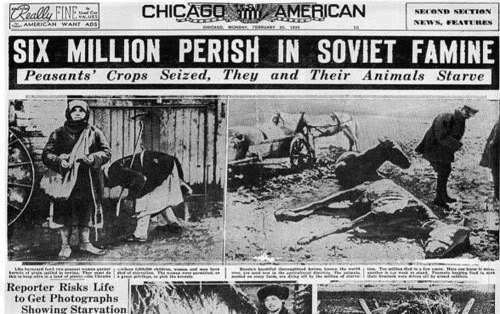 The truth is that most Americans think famine couldn’t happen here. Why bother to worry about famine at all since supermarket shelves are fully stocked, buffet lines are long, and all-you-can eat restaurants are the norm for a family outing. 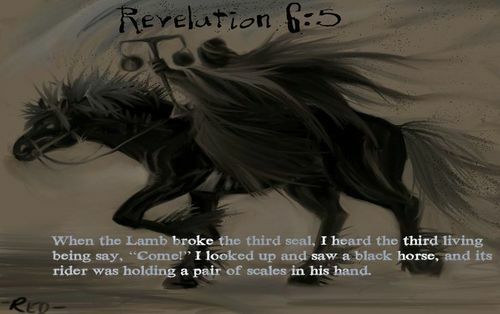 But according to modern day prophets and visionaries who have studied the Book of Revelation, all this feasting and plenty won’t last forever. 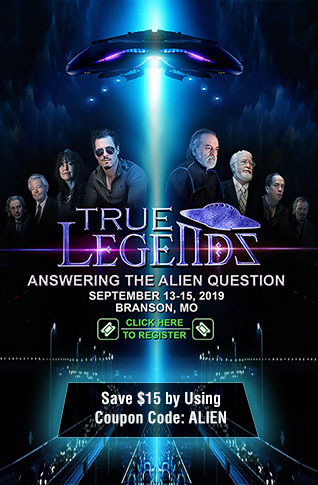 They foresee a very different picture for our self-indulgent society, as seals of judgment are opened and the Four Horsemen of the Apocalypse--Conquest, War, Famine and Death--ride in. It’s clear that the horseman called Famine will usher in a new reality—an economic collapse leading to inflation, food shortages and worldwide famine. Nations like ours, one that stays fixated on keeping a full stomach and has even coined a new word--“foodie,” will be taken by surprise when the party is over and it all ends suddenly. If God is good, scoffers may ask, why would he bring down a thriving economy, making the people suffer want and hunger? But the Word clearly warns about judgment falling on rebellious nations that turn from God’s commands. When nations spurn biblical laws and break God-founded covenants, they negate the Bible’s promises of protection for his people. 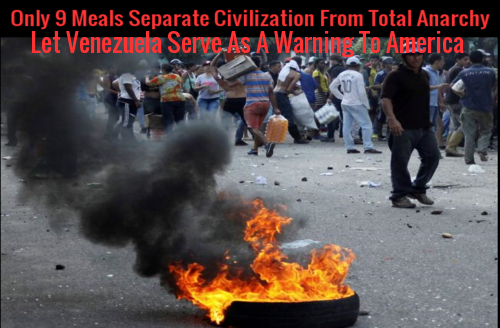 To see how quickly famine can decimate a nation, consider its onset in Venezuela, where the black horse has started his run through South America. Once deemed Latin America’s richest country, Venezuela has gone from affluent to impoverished in just two decades. An article in The Independent, a British online newspaper, pointed out that with its large oil reserves, Venezuela should be rich. “Instead, it has a collapsed economy and resembles a country hit by civil war,” the writer reported. The country’s deepening economic crisis, marked by scarcity of food and streets filled with black markets and violence, has led hundreds of thousands of Venezuelans to escape across the border to Colombia. Now the influx has caused Colombian President Juan Manuel Santos to ask for international help with a humanitarian crisis. While America prospers, famine has long attacked third-world countries in Africa whose lands are parched from lack of rain and waves of drought. Even as American diners complain of long waits for a table in popular restaurants, many people in Nigeria, Somalia, Sudan and Yemen don’t’ know where their next meal will come from or whether they’ll have access to drinking water. The availability of water has also become a big problem for Cape Town, Africa’s tenth largest city, according to an article by Ian Birrell, a writer for The Mail. He reported that after suffering its worst draught in more than a century, the region is struggling under severe water restrictions for businesses, farms and homes. 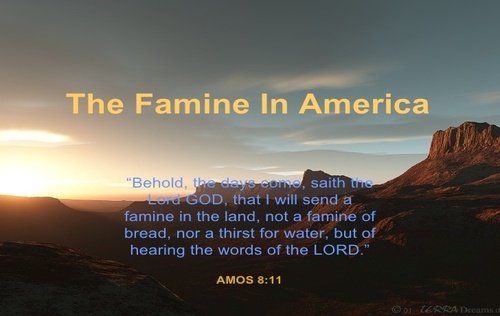 Will famine on that scale really come one day to the United States, and will it affect all alike--rich and poor, Christians and unbelievers? Consider that the Horseman‘s prophecy emphasizes the scarcity of grains but cautions not to harm the oil or the wine. This suggests that during a coming famine there will still be an abundance of luxuries for the wealthy, while the price of staples like bread will be driven up beyond the reach of ordinary folk. In other words, an American famine would drive the wedge between the haves and the have-nots in this country even deeper. The result? Even more political protests and unrest, resulting in revolutionary uprisings and civil war in this country. But Christian believers can take heart: The Word is full of assurances that God will provide when times of disaster come upon the earth, and he promises to keep his children safe, even from the scourge of famine. “I am the Bread of Life, but many people do not even know Me. I am able to feed my own out of thin air, just as I fed them with manna long ago. There was no food in the desert and there were many mouths to feed, but I fed them easily even through years of famine in areas all around them. The prudent who heed this call will start to prepare for the coming time when grocery store shelves empty out in a matter of days and money becomes worthless. Feasting and frivolity will be a thing of the past, as people have to barter for many things to get the elusive new gold: a plate of food to feed their family. In the meantime, America eats on, with people wolfing down the beefy steaks and cramming in the sweets, heedless of prophets’ warnings and the sound of approaching hoof beats as the black horse draws nearer. 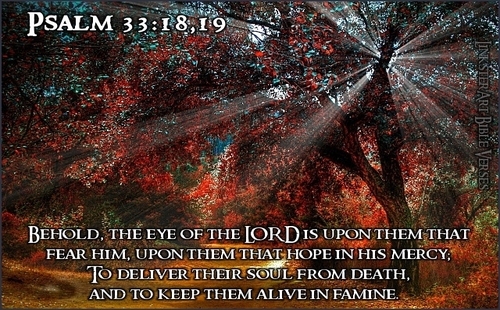 But the Lord has the last word, ending his message about famine with an exhortation for his people to stay faithful: “My children, you are near the end, and events are speeding up. I am anxious to bring you home to Me. Stand firm and do not turn back from your faith, for you are nearly home and your reward shall be very great in heaven. NOTE TO READERS - If we make it through March when we start seeing the revenue generated by the new ad network, we may just have a chance to turn big techs' bias back against them and come through this stronger, louder and more powerful, together. February 2018 has been the most brutal month yet due to the censorship we have been battling against this past year, so any extra readers may be able to spare for donations is greatly appreciated.